Wordless picture books have been a big favorite of ours for a long time. Ever since my son was little I have actively sought out these wonderful books to share with him. I seriously love them! I have created a page for all of our wordless book posts because I know this is something I am going to be writing about for quite some time. I hope you will take some time to go through the posts and find a few to try. The illustrations are usually outstanding and some of them are wonderfully deep stories even though there are no words. Share some of these great books with your boy and open a whole new world of beautiful books to “read” together. 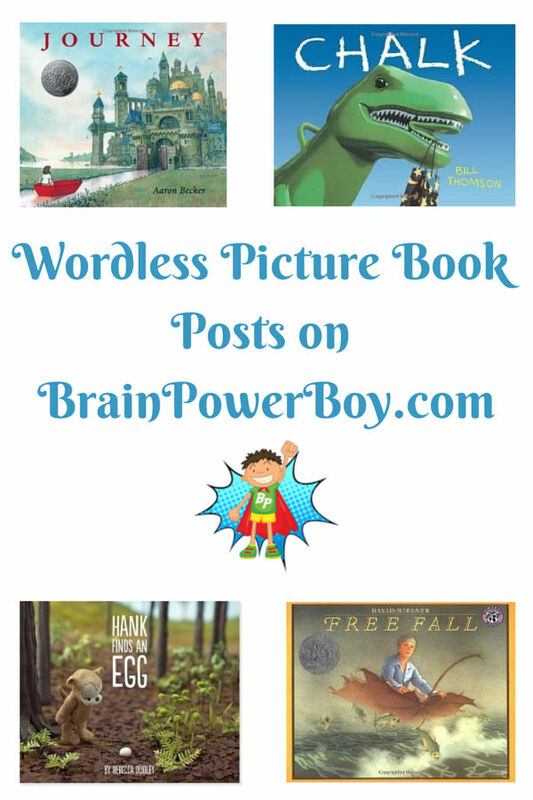 The Benefits of Wordless Picture Books Read about why these books are so important, what they learn by reading them and activities to try with the books. Best Books for Boys: Classic Wordless Picture Books These are the classics. The books that have been around for a while and have stood the test of time. They are also favorites! Discover Lesser-Known Wordless Picture Books Books that are a bit off the beaten path, but oh so delightful. Take the time to check out this list and find some new books to read. Fun Wordless Picture Books to Read This list is all about fun! They are fun and funny and will bring delight and enjoyment to the readers. Wordless picture books should (in my opinion) definitely be added to your selection of reading materials. There is so much about them to learn from and plenty to enjoy.